Which new products would you like to see at PCCG? 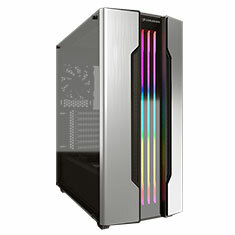 The Cougar Gemini S is an advanced gaming mid-tower case with a full-sized tempered glass cover and an integrated RGB lighting system that delivers everything a gamer needs. Gemini S features COUGAR’s exclusive Trelux integrated lighting system. This advanced design allows it to display fourteen amazing lighting effects without installing any additional devices in the case and control them through the integrated lighting button. If you have feedback, tell us below! Do you have a question for Customer Service? Would you like to see additional information or images? Do you feel the price or description is out of date? Is there any other feedback you would like to provide?